With more than 31,600 retail locations and the most frequently visited website in the federal government, usps.com, the Postal Service has annual revenue of nearly $69 billion and delivers 47 percent of the world’s mail. With more than half a million employees, the Postal Service is one of the nation’s largest employers. If it were a private sector company, the U.S. Postal Service would rank 43rd in the 2015 Fortune 500 and 137th in the 2015 Global Fortune 500 list. The Postal Service has one of the world’s largest computer networks — linking nearly 32,000 facilities and making communication possible between hundreds of thousands of employees, as well as our customers. The Postal Service mission is to provide a reliable, efficient, trusted and affordable universal delivery service that connects people and helps businesses grow. 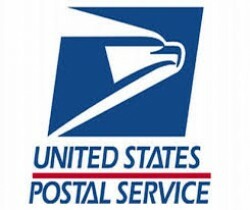 Everyone living in the United States and its territories has access to postal products and services and pays the same for a First-Class postage stamp regardless of their location. The Postal Service puts information and technology at the center of its business strategies. It’s finding ways to harness analytics and insights and information to empower employees and customers. It’s also speeding the pace of innovation, and developing mobile and digital tools to play a larger role in the daily digital lives of customers. The Postal Service is already a technology-centric organization. It uses the world’s most advanced tracking and information systems to speed the flow of mail and packages throughout its network, creating literally billions of data points every day. The Postal Service is leveraging the information derived from that robust scanning and tracking to add value to the senders and receivers of mail and packages — and to create new products and services to spur growth in the mailing industry. The U.S. Postal Service continues to play an indispensable role as a driver of commerce and as a provider of delivery services that connects Americans to one another — reliably, affordably and securely, and to every residential and business address.